Learn more and check out the TTT schedule now available through November! This week is basically all about pimping yo bad self out. We're talking about all those posts you wish everyone who ever visited your blog could see so they could get the WHOLE picture of you -- the reviews that highlight your style, posts that give more insight into YOU, those posts that show off your awesome personality, etc. So, I'm going to share with you some posts on my personal book blog, The Perpetual Page-Turner, that are the essence/epitome/what-have-you of ME. For better or for worse. I'm probably an acquired taste. I don't think I have a review style by any means so it's always tricky if someone just stops by at random on a review because I'm not always sure it's indicative of my reviewing VOICE as a whole. I'm a mood reviewer, I think. If a book got me so stinking excited, I fan girl. If I think a book was so touching and beautiful, I might write a more serious review to convey those feelings. But I think my voice, if you've visited the blog enough, transcends whatever kind of review I may write. It's always been about writing reviews that feel like you've settled in to talk with a good friend about a book. You could classify this as a rambly, semi-coherent keysmashing review that borderlines on the type of fangirling that happened in the times of boy bands like BSB, Hanson & Nsync. I say things such as "If I were my 13 year old self, I’d be bedazzling shirts proclaiming the awesomeness that is Stephanie Perkins and making a shrine in my room dedicated to her" or try to talk about my fears of reading this after loving Anna in terms of replacement goldfish. These fangirly Jamie reviews almost make you wonder if I wrote this whilst drinking a few too many cocktails. 2. Review of Wanderlove by Kirsten Hubbard: Proves I can write an enthusiastic review that isn't too rambly and crazy. Still conversational but more a more "proper" review, I suppose. I still do say stupid things like "I just wanted to pluck them out of the book and smash their faces together causing them to smooch like I used to do with Barbie and Ken. YOU KNOW YOU WANT IT!" 3. Review of Eve by Anna Carey: I think this is a good example that I can articulate things things I like/really didn't in books. I'm definitely an honest reviewer but I try to be specific about what didn't work for me personally. 4. My Blogging Manifesto -- I feel like this post really lays out my intentions for my blog and what you can expect from my blog. I often look back at this post when I feel discouraged or lose focus. 5. Letter To My Younger Blogging Self-- I feel like I'm constantly learning and evolving as a blogger and I'm not afraid to be honest about it. 6. 3 Lessons My Mom Taught Me That I Apply To My Blogging Life: I don't do a ton of blogging help sorts of posts (actually these three are mostly the extent of it really) but I tend to genuinely share things that are helpful to me rather than rules. And this one is special to me since, if you read my blog often, you know that my mom passed away from brain cancer in 2006 and so this post does share a big piece of my life with you. 7. Book Inspired Dates: Who does this? lol. ME. I have so many more posts a comin' too! I don't take myself too seriously obviously. 8. A Rant About Bookish Stereotypes: Sometimes I get heated, friends! But mostly it renders a great discussion. 9. Why Fictional Characters Might Make Better Wedding Guests: Seriously. I wish I could say I don't remember writing this post. But these are the sorts of posts that can happen when I'm a little too cozy with my readers. I may just show my true weirdo tendancies. And I love it. I am unabashedly ME and I can honestly say what you see on the blog is what you get in real life. This post is crazy and weird and really quite pointless but I had fun and these are the things my brain mulls over late at night...along with more serious things like world peace and feeding all of the children. Posts That Help You Learn More About ME! 10. Top Ten Quotes From Books: I think you can learn a lot about a person from their favorite quotes. Truly. Oh also, here's my other post about quotes. And a #11 because it sort of doesn't count -- Lastly, this might sound silly and obvious but... MY ABOUT ME PAGE. I feel like it gives a pretty darn good picture of me in some bullet points. So, go ahead and ask all the bloggers that have met me. I bet they'd agree that these posts are a very good compilation of the whole picture of my blog. I pour a whole lot of myself into everything I do on The Perpetual Page-Turner. I'm honest, genuine, love to read, love to interact, like to have a WHOLE lot of fun and I care a lot...about so many things. As I say in my About Me regarding my blog: "It’s conversational, there might be swooning, there might be CAPS LOCK, !!!!! & keysmashing or I might pour my heart out to you." Although, it's probably not a lot of people's cup of tea! What posts do you think give you the best glimpse into other bloggers?? Was good fun to put this top ten together! I like your "why Fictional Characters make better wedding guests." I love quirky posts. I have a few of them myself. I love that you wrote a letter to your younger blogger self! And, that you have bookish inspired dates! Am checking them out! And, I need to read your review of Lola and The Boy Next Door. Lol. Thanks so much for the fun topic. I kind of messed up and linked this post at first oops. If you could delete number 17 (marissa@rae gun ramblings) that would be great. SOrry about that. I loved reading your blogging type posts! I have to agree with Milda I enjoyed reading a letter to your younger blogger self! Funnily enough a friend posted a letter that she wrote to her younger self a few weeks ago. And your sense of humour is definitely contagious :). 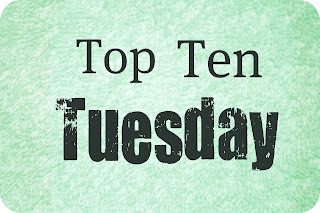 This was a tricky one, since my blog is not even a year old and a lot of the posts are Top Ten Tuesdays! 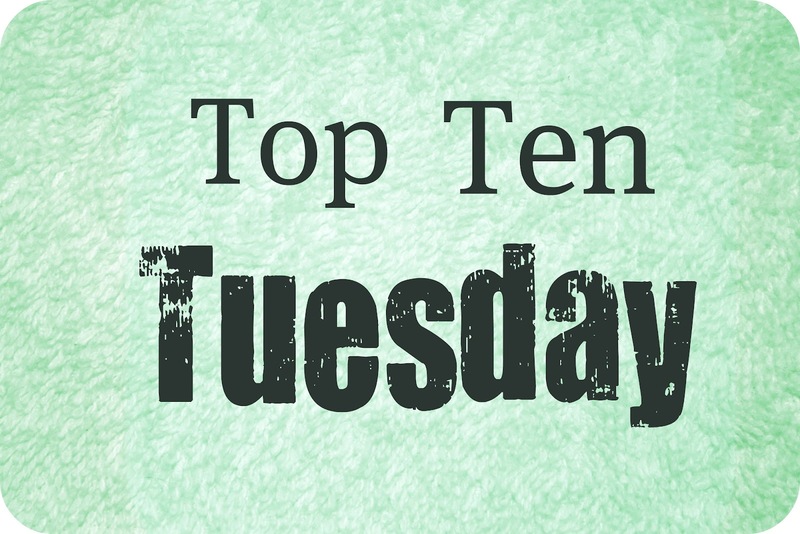 I love your number 10 post Top Ten Quotes From Books. Really great heart quotes i love them all! All of these things = YOU. And I love it. I love when you get fangirly! Also I love that you mentioned BSB, NSync AND Hanson!! Seriously love it! This one was a lot of fun! It was nice to talk all about me for a bit :P Looking forward to reading some of the others after work! Great post :) I love the dates inspired by Books, staying in joggers can be sooo comfy but I agree. Also, your letter to your younger blogging self - I think I nodded at every single point! This was a fun one! I liked traveling down memory lane. I love your book-inspired dates, and will have to try one. I haven't read the books, but the dates still sound fun! Love the three lessons and book inspired dates posts. And great topic! It's inspired me to try and get my voice and character out more in my posts. I'm still a little too formal at times and that so isn't me! I think it's such a great idea to keep a blogging manifesto to keep yourself on track. Great posts and am excited to read through some of your backlog. Fun post to compose, what a great way to share favorite posts! Looks like I am going to be reading for a while. :D Oh, and I got such a kick out of your wedding guest list one. That is an incredibly difficult task. Very interesting topic and selection of posts. I LOVE that Hemingway quote on your quotes post! It reminds me that I still haven't read The Old Man and the Sea, though! I still remember your blogging manifesto, what your mom taught you and a letter to your younger self. Those were indeed note worthy posts! I love this topic! Wonderful idea. I accidentally linked in another TTT post before I realized it was the wrong one, sorry about that! I absolutely LOVE your posts! They're so fun and I really admire how you manage to be professional while still showing your personality in reviews. Really great posts! Especially the Letter and Lessons. See, I don't know if I can agree with Westley and Buttercup. Her whole farmboy routine would get old and I'm not sure how long he would put up with it after being the Dread Pirate Roberts for so long. Of course all of the kidnapping and whatnot could have changed her, but I'm not sure. Looking forward to learning more about you and TTT. Looking forward to getting to know you better through your blog and watching TTT! Congrats on your upcoming wedding!